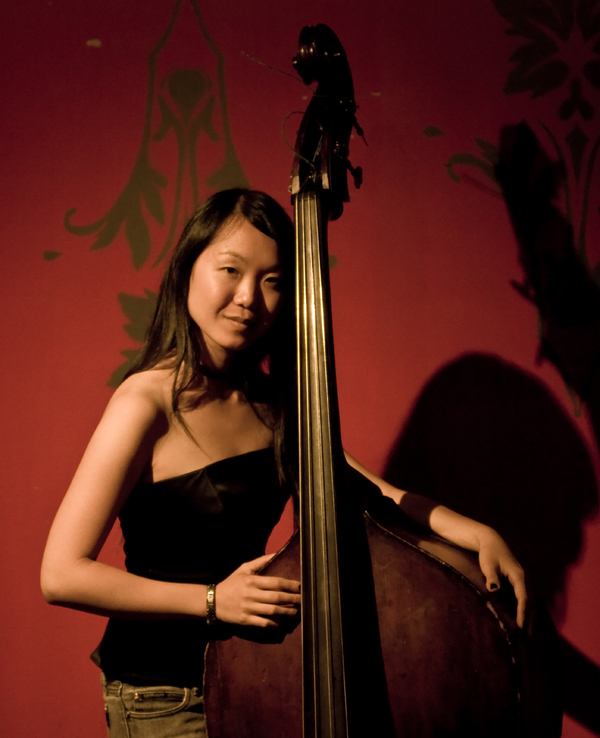 Like most who’ve heard the young Aussie bassist Linda Oh, my starting point was hearing her fresh debut recording “Entry”. 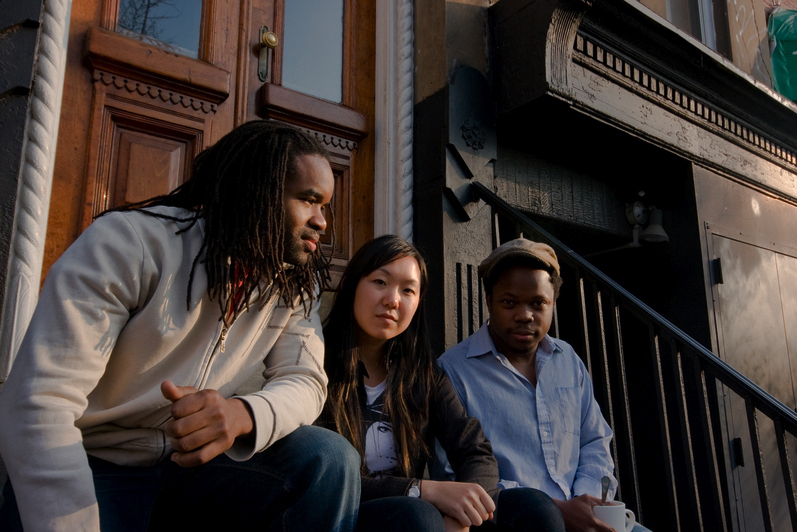 Besides the fact that she just kind of materialized on the scene untethered to advance hype, the record was first of all curious because Ms. Oh took the hang-fly route and played her music with a lean and mean trio, including other promising peers drummer Obed Calvaire and trumpeter Ambrose Akinmusire. The presence of those young firebreathers further stirred the interest. To properly appreciate a new artist one must experience them live. That opportunity came a couple of months ago when ASCAP presented a young composer/songwriter showcase on the Kennedy Center’s Millenium Stage. This time working with Marcus Gillmore on drums and Akinmusire, the petite Ms. Oh strode up to the bass confidently and delivered a set of her originals that, though there were more than a few twists, turns and the occasional knotty passage, garnered much-deserved appreciation from an audience that may have been there more for the singer-songwriter who followed. Clearly some questions were in order for this promising newcomer. I grew up in Perth, Western Australia – where there were a lot of really great, young, talented jazz musicians. Besides playing electric bass in the high school jazz band, I also played bassoon in the local “jazz orchestra” (big band augmented with strings and woodwinds). I would be sitting in the woodwind section playing written arrangements and turn around to look at the big band. It was really inspiring to watch these musicians create something on the spot and improvise (especially within a written context) – something I liked to do but really knew nothing about. You know it’s funny, I never actually thought about it much and I still don’t. Ironically, I just wanted to play electric bass and be just like Jaco. After hearing Ray Brown, Charlie Haden, and Scott LaFaro, I knew it was something I really wanted to do – so I never thought about the physical difficulties. Initially I would get a little sore because I practiced a lot and it took awhile for me to get my technique together, but really I think if there’s something you really want to do, do it – I don’t think about what possible disadvantages you may have. I think everybody’s different; I love being a sideman and there’s so much to learn from it – and I have so much respect for people who are only sideman and are really great at it. But I know that in my career I want to do both – being a leader is a completely different skill. I love writing my own music and playing my own music as much as I love playing other people’s music. I wouldn’t be satisfied as a musician being only a sideman. I’ve done interviews in The Independent Ear previously with saxophonists who lead trios (JD Allen, Marcus Strickland, Jaleel Shaw) that work without a chording instrument in the band, talking about the subsequent challenges they face. In your case you have an even more unusual trio where not only is the bass player the leader and the composer, but you’re working with trumpet as opposed to saxophone. What are the main challenges you face as a leader, a player, and a composer in such an unusual trio? I chose this setting because it posed many challenges. First of all trumpet is a physically demanding instrument. This meant as a leader I have to think about this when I’m putting sets together, rehearsing, organizing tours, and composing; not that I had to dumb down my compositions at all to make things easier, but I had to share the role between the three of us. There are also many tuning issues when there’s no chordal instrument, between the trumpet and the bass; so we have to think of that when we play (Ambrose and I often have to compromise with the tuning and meet each other) and when I compose, specific keys have to be avoided. Playing in this [trio] setting is a challenge but it’s so much fun. After playing this music with Ambrose it’s evolved so much for the better and every time we play a show we’ve taken it in so many different directions. For a debut recording Entry has been very well received by the critics, it even showed up on some writers’ best-of lists for 2009. How do you plan on following up? Hmm, that’s a tough one; there are just so many things I want to do. I’ve been writing a lot of jazz quartet with string quartet pieces. We performed at the Nabi Gallery where half of the show was played in the dark, with members of the band weaving throughout the audience to create a special experience. This went really well and I know the logistics of this means that the whole band has to be unamplified and if this were to be ongoing it’d have to be at a similar venue with limited seating. I’ve been thinking of recording this, and trying to create the spatial sensation – probably best heard through headphones or speakers accommodating for 5.1. I have a lot of quintet tunes and large ensemble tunes and I’m also working on my electric bass playing, so we’ll see. Whatever I do next though, I’m hesitant to do without a direct concept; I don’t want to do something just for the sake of recording a bunch of tunes. To read more blogs from Willard Jenkins, you can visit his blog site, The Independent Ear.